Some of the most enjoyable experiences of my life have involved social fitness. 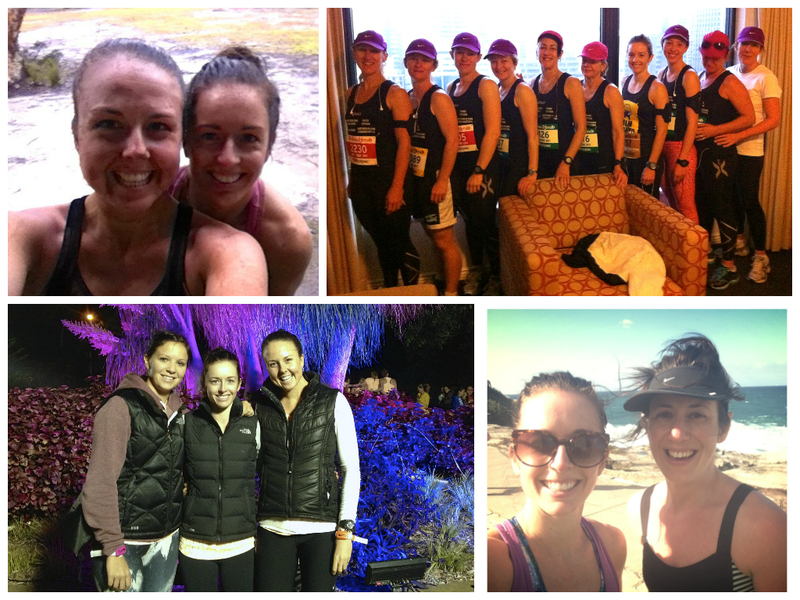 From organised events like the City 2 Surf or Tough Bloke Challenge through to lunchtime runs with workmates or casual outdoor sweat sessions and beach walks, I don’t think there’s anything better than getting sweaty with friends (and strangers for that matter). That’s why I’ve never understood why some people choose only to socialise when there’s alcohol involved. According to this report put out by the Australian National Council on Drugs (ANCD), one in five Australians consume alcohol at levels that put them at risk of lifetime harm from injury or disease and an incredible two in five Australians consume alcohol levels that put them at risk of short-term harm at least once a year. The ANCD report goes on to say that 25% of respondents had been the victim of alcohol-related verbal abuse and 8% had been the victim of physical abuse. That is actual physical harm brought on by drinks – scary! Now, I’m all for having a few glasses of wine with friends. I think it’s a healthy thing to do and I also totally understand that sometimes you need to let a little loose. But there’s a difference between having a few drinks and getting totally wasted. And you know what’s actually heaps more fun than getting totally wasted? Not being hungover. Not having memory blanks. Not getting into fights with your boyfriend/partner/friends because you/they/both were acting like dickheads. People drink for many, many different reasons; some to deal with stress, others to escape reality, out of habit or as a perceived responsibility in the workplace. And I’m sure that’s really just the tip of the iceberg. But you know what else relieves stress, gives you a break from reality and (better yet) is a healthy habit? Exercise! Now, I understand that not everyone loves exercise as much as I do, so I’m not naive enough to think that everyone should go and sign up for a half marathon immediately, but I do believe that absolutely everyone can benefit from a little social exercise. It could be exchanging after work drinks for an early morning walk and breakfast, switching that boozy Sunday lunch for an outdoor bodyweight workout like this one or this one, or even signing up for something fun (and achievable) like The Colour Run or The Electric Run. As far as I’m concerned, anything we do that allows us to connect with people and stay focused on our health at the same time is a winner. Personally, I wish there were more social fitness events on offer – particularly of an evening or a Saturday. It’s a great way to have a fulfilling, enjoyable weekend without feeling like you’re damaging your health. What are your thoughts? Would you be interested in participating in more social fitness events? « My Cosmo Shoot Is Out! social fitness events are definitely fun and I want to do more of them too!!!! SO much fun! What’s been your favourite?